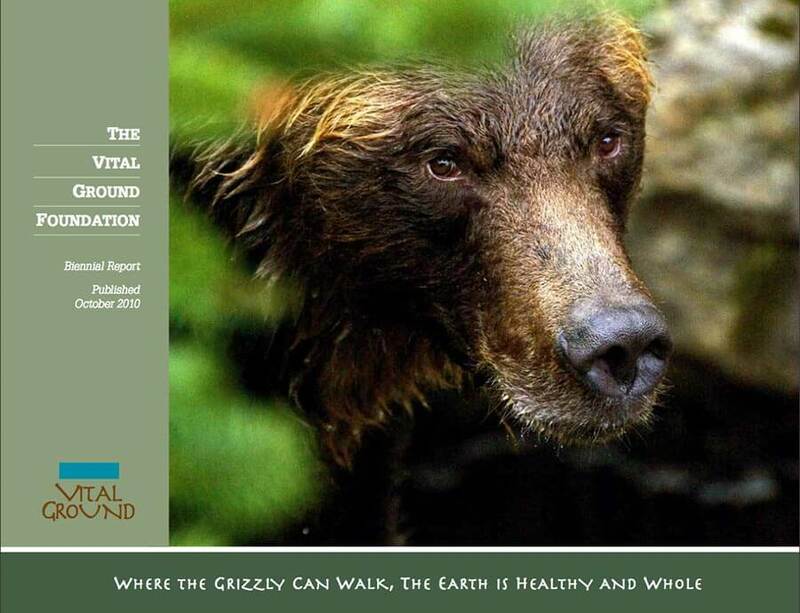 Bold and Vital Strides by Board Chairman Stuart Strahl; Accomplishments: Lands Protected; Accomplishments: Projects Supported; Silvertip Legacy Circle; Grizzly Council; 2016-2017 Financial Report. Donors and Partners 2016-2017. 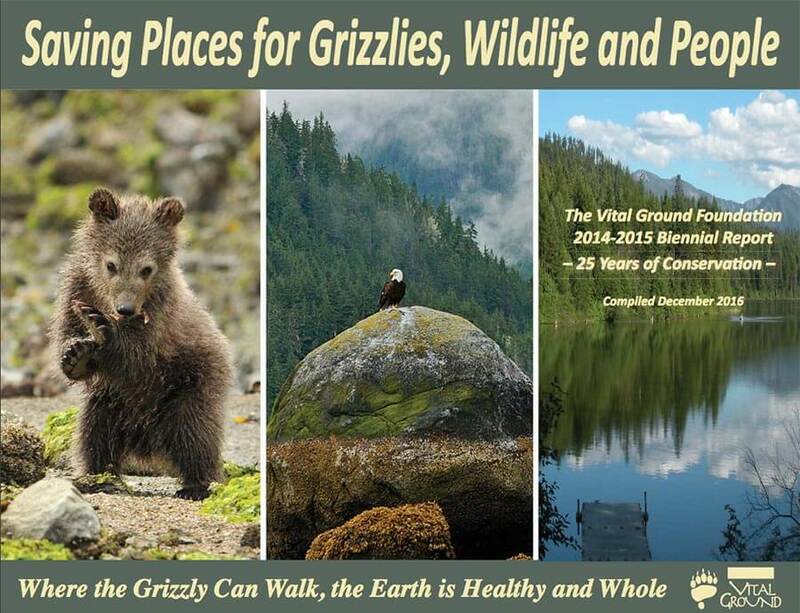 Saving Places for Grizzlies, Wildlife and People! A quarter-century in the business of wildlife habitat conservation; How your help has helped Vital Ground do conservation like nobody else! 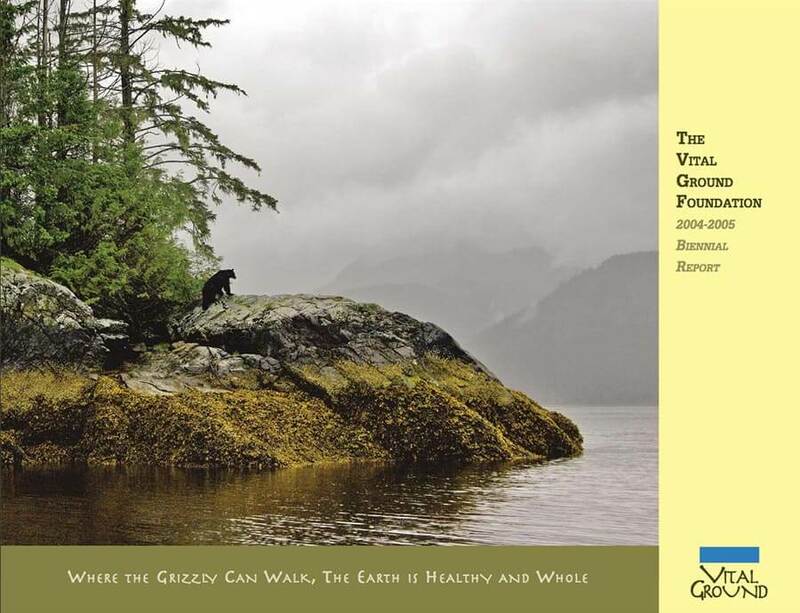 ; A Great Bear’s Legacy; Vital Ground’s work is grounded on science; Alvord Lake: A Community Triumph; Further Afield: New habitat protection partnerships; Collaborating for Coexistence; 2014-2015 Bear Aware Partnerships; The Silvertip Legacy Circle: Leave a Legacy for Grizzly Bears; Financial Overview 2014-2015. Vital Ground teamed-up with six landowners in Montana’s Swan Valley to further its goals under the organization’s Swan Valley Grizzly Bear Habitat Conservation Initiative; Richard “Whitey” Boughton fulfills a long-held vision to conserve wetlands and upland forest habitat by fully donating a conservation easement in Montana’s upper Swan Valley; Vital Ground partners with organizations and agencies to help support the Deer Creek Conservation Easement; Vital Ground completes restoration of its Yaak Mountain property within the Cabinet-Yaak Grizzly Bear Recovery Zone; Vital Ground contributes $10,000 to Cabinet-Yaak Grizzly Bear DNA Study. Vital Ground acquired its fourth property at Bismark Meadows, a key step in over protecting core grizzly bear habitat in North Idaho; negotiated new conservation easement agreements to protect grizzlies and their habitat in Montana’s Swan Valley; negotiated three Forest Legacy Program conservation easements protecting a wildlife corridor in the Bane Creek area of North Idaho; protected a key grizzly corridor in the Cabinet-Yaak ecosystem of northwest Montana; and launched the Gobi Bear Initiative to help save the last remaining grizzlies in Mongolia. 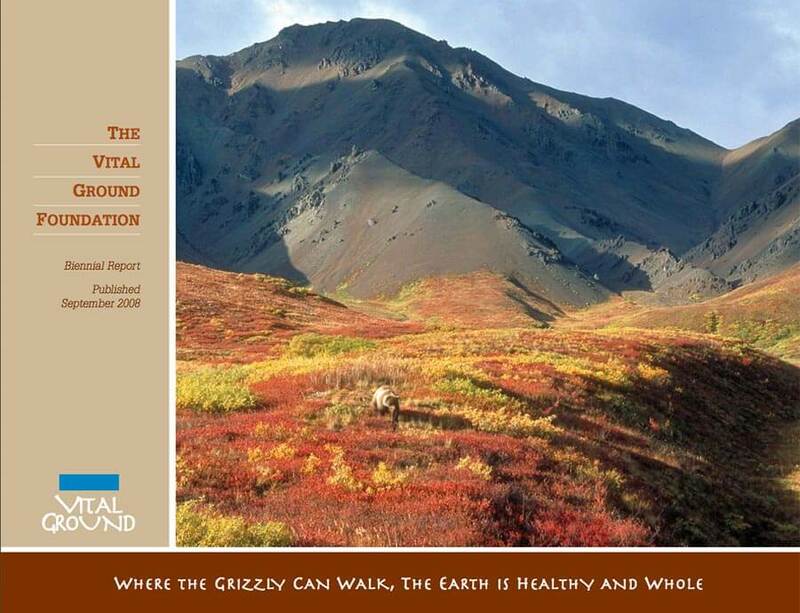 Through the efforts of Vital Ground and its partners, 187,000 acres of crucial wildlife was protected or enhanced during the 2008-2009 biennium. We made significant progress on our long-term plan to permanently protect north Idaho’s Bismark Meadows; partnered with Nature Conservancy Canada to protect 136,000 acres in the Canadian Selkirks; partnered with the National Wildlife Federation to retire a 34,500-acre grazing allotment near Yellowstone National Park; and negotiated several conservation easement agreements to protect grizzly bear habitat in Idaho and Montana. 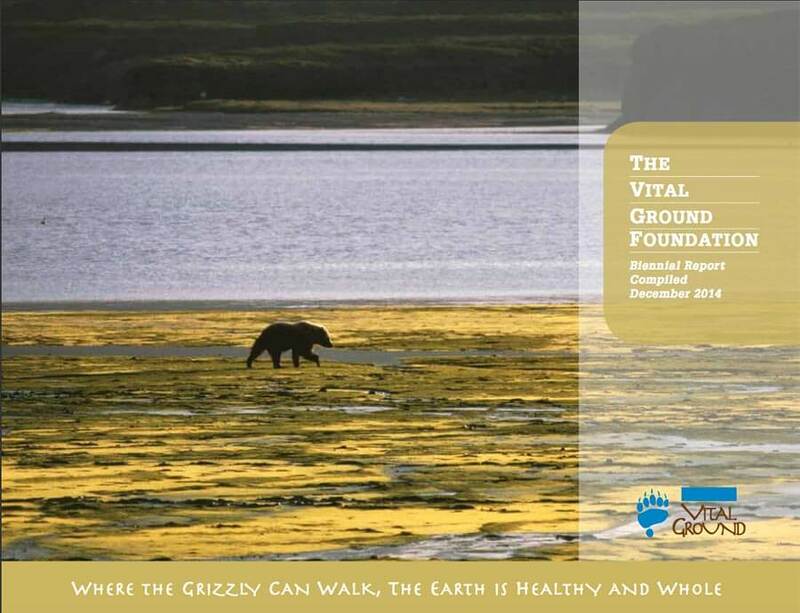 In 2006 and 2007, Vital Ground made great strides in on-the-ground habitat conservation for grizzly bears and other wildlife. Since relocating our office from Utah to Montana in 2005 and adding new staff, Vital Ground’s capacity and projects have flourished. During the biennium, Vital Ground helped to protect and enhance almost 189,000 acres of crucial wildlife habitat. 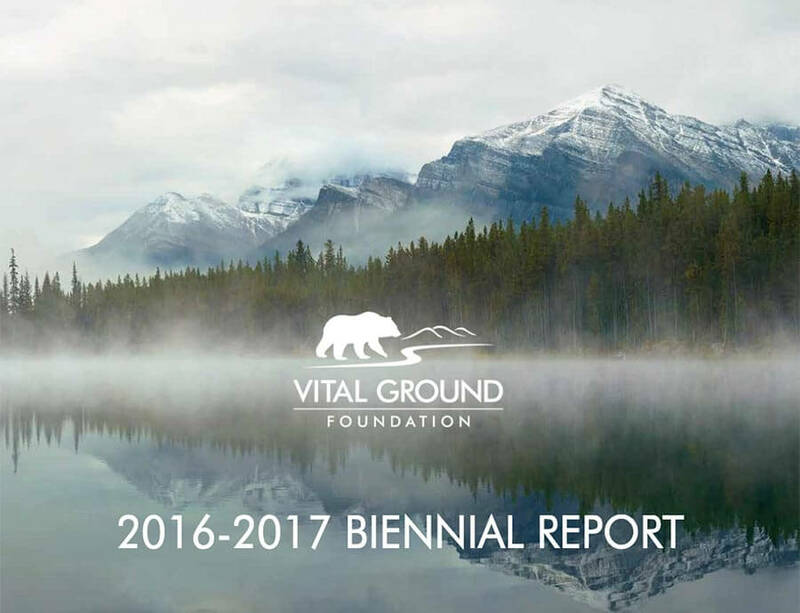 The 2004-2005 biennium brought with it an exciting time of growth for Vital Ground. 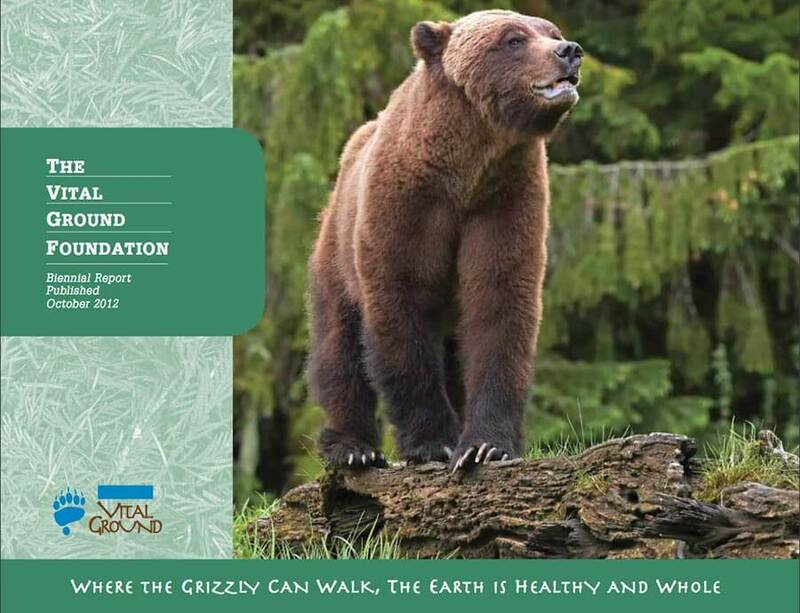 Read how we transitioned from a grant making organization into a full-fledged land trust and relocated our headquarters to the geographic heart of grizzly country – Missoula, Montana.